European project Smart Multimodal Information Platform (SMIP). - DIGITALIZATION of the Multimodal Goods Transport Operations in Europe. - Create a common OPERATIONS platform for real-time exchange of information. - Apply field monitoring of transport operations (road, rail, water and transhipment). Sustainable rail transport - the preferred choice for your goods transport - WHY? - Less polution with electric trains. - Economic transport for the long haul (> 200 km). - Reliable and safe transport mode. Reinforcing the Multimodal supply chain - WHY? - Lack of (real time) information or no exhange of information. - Legal framework frustates complex transnational cooperation. - Too complex supply chain management. - A more attractive and reliable transport service needed as an alternative to other transport modes. 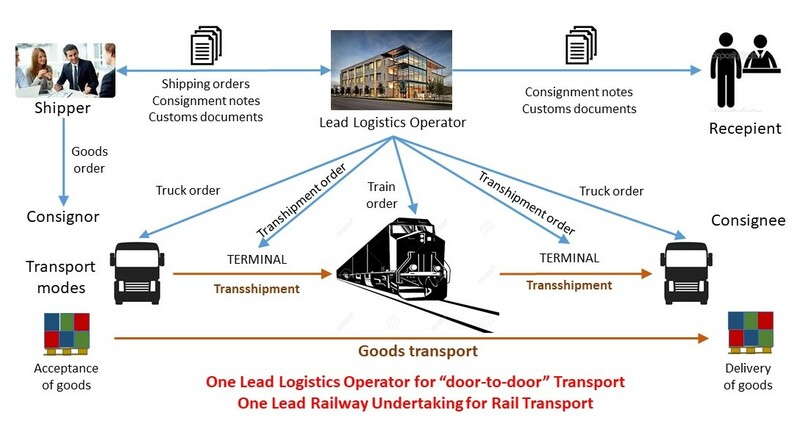 Reinforcing the Multimodal supply chain - HOW? - Digitalization of information exchange based on Smart Freight Train concept. - Change traditional information exchange to communication via an online ICT system. - Real time information availability on a neutral common information platform. - Real time monitoring of the rail transport via the on-board system.